After the new edition of the IBD comes out each night, I start my stock screening. I get my stocks almost exclusively from the Stocks on the Move column every night. I just copy down the ticker symbols from the stocks above the line on both the NYSE and the NASDAQ. This should also tell you that I don't look at any over the counter stocks - only NYSE and NASDAQ. I then take those stock symbols and put them in the My Stocks List of investors.com. I do this because I am looking for one particular type of stock -- one that institutional investors are buying. This buying shows up in stocks that have large increases in price on heavy volume. 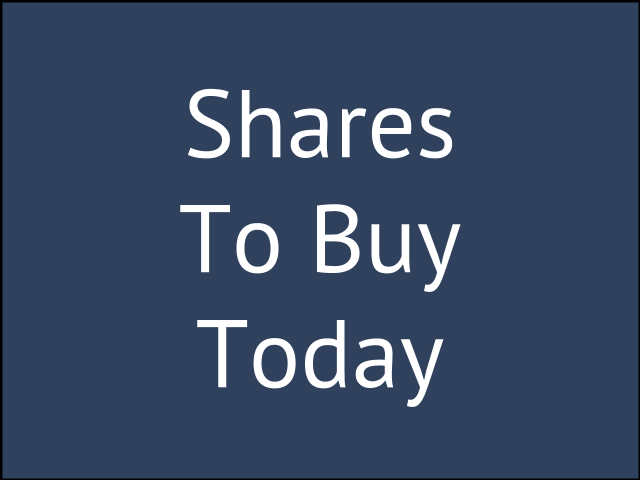 Volume - I want to see at least 100,000 shares traded daily. You can find the volume number under the price and volume. Earnings Per Share % Change (Latest Quarter) - I want stocks over 25%. You can find this under the fundamentals tab. Earnings Per Share % Change (Prior Quarter) - I want stocks over 25%. Sales % Change (Latest Quarter) - Again stocks over 25%. 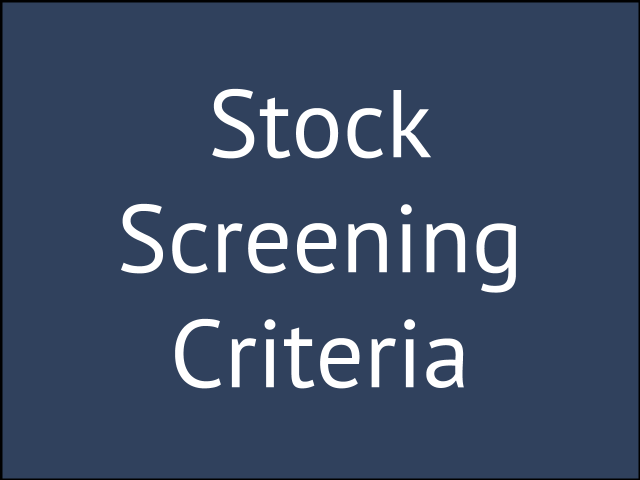 I have recently lowered my stock screening criteria in a couple of areas so that I could look at more stocks on a daily basis. The first is in the Composite, EPS and RS ratings. I will now go to as low as 70. With the other SmartSelect ratings, I also now include stocks with a "C" rating. I did this so that I could look at more stocks on a daily basis. My thinking is that I might be able to catch a stock a little sooner than I could before. I also am looking for stocks with stellar earnings and sales as opposed to stellar ratings. When you look at the market indexes each day, at some point you will ask yourself why is the stock market down today? This question will lead you to look at the major news sources for an answer. Over time, they will give you numerous answers as to what caused the market to close lower. Today for example, the market is uneasy about the "debt-ceiling" in the United States and that Moody's downgraded Greece's credit rating. On other days, earnings reports might have come in lower than expected. The truth is that while there will be truth in what they say because that was the general news for the day, the real reasons are really probably unclear and to be honest with you don't really matter to you as you try and ascertain the general market direction each day. All you really care about is what the market indexes tell you happened -- not what the "general opinion" is as to why it happened. You'll first want to review each index every day. Those indexes are the S&P 500, the Dow Jones Industrial Average (DJIA), the New York Stock Exchange (NYSE) and the NASDAQ. You'll want to look at each index and figure out whether it closed higher or lower than the previous day. After that, you'll also want to see whether volume was higher or lower than the previous day. When you do this, you'll discover one of the four following situations. A higher close on higher volume - This means that there were more shares of stock bought than sold and it pushed the price higher. This is known as an accumulation day. This is what you really want to see. A higher close on lower volume - This means that less shares of stock were sold and prices did increase but is more of a stalling action. While this will happen, it's not really representative of a market under accumulation and not the ideal close you'd like to see. A lower close on higher volume - This means that more shares of stock were sold than bought and it pushed prices lower. This is known as a distribution day. To much distribution isn't a positive sign for the overall market direction. A lower close on lower volume - This means that less shares of stock were sold than bought and prices fell. This is a neutral action and what you would expect to see when there is less than demand. When you look at the market each day, you don't really care "why" the market went down. You only care about whether the market was under accumulation or distribution. You are concerned about this because you want to only invest in a market under accumulation or an uptrend and not under distribution or downtrend. As you learn to do this, you can just read the IBD Big Picture column and let them tell you what happened or you can do what I suggest and that is figure out what happened on your own and confirm it with what the IBD editors think. Over time, you'll find that you can get a handle on what happened instead of why. S&P 500 - The index closed at lower at 1,337.43 or .56% lower than yesterday. Volume on the NYSE was 3.9 percent higher than the previous day. Since this is more than .2% decline on higher volume, this is a distribution day for the S%P 500. 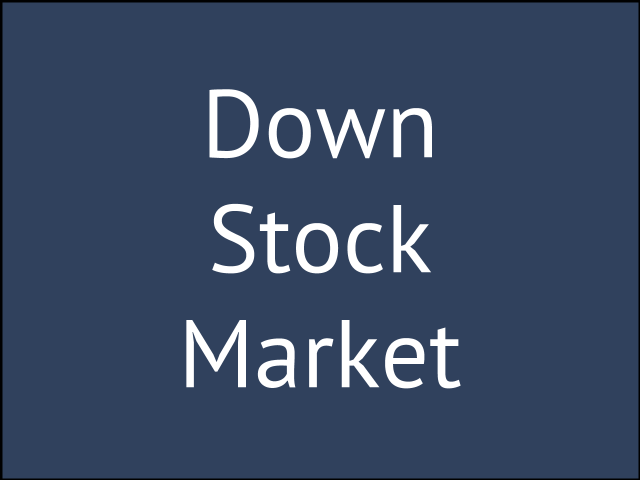 DJIA - The index closed lower at 12,592.80 or .70 percent lower than yesterday. The NYSE volume was higher as we have already said and so this also represents a distribution day on the Dow as well. NYSE - The index closed lower at 8,357,57 or .60 percent lower than yesterday. Volume was higher as discussed and so the NYSE also suffered a distribution day. NASDAQ - The index closed lower at 2,482.80 or .56 percent lower than yesterday. Volume on the NASDAQ also closed even from the day before. Because it is neither higher or lower. It is not a distribution day. We know from today's market action that the S&P 500, the DJIA and NYSE all suffered distribution days while the NASDAQ did not. This information in and of itself doesn't tell you specifically why the stock market was down today, but it does tell you a more critical piece of the puzzle and that is that it was under distribution. Enough distribution days and it will change the market outlook. Because three out of four stocks follow the trend, and because the IBD currently has several distribution days chocked up for the indexes already, I'm expecting the market outlook might change today to market uptrend under pressure. This would mean that I wouldn't want to make any new stock purchases and watch the stocks I am in closely. Knowing what action to take with my stock market investing program is much more important than knowing why the stock market today went up or down. I've been sitting on the sidelines and it's time to see which shares to buy today because the IBD changed the current outlook to market in uptrend. So, I took some time to update my watchlist and ended up with the following stocks on it: IPGP CPX FCFS FOSL CPO CSL GSM SPRD WYNN AH GDI LULU NFLX PRGO TPX ILMN MNTA. 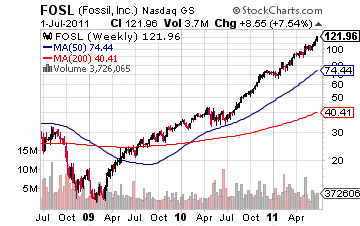 Personally, I wasn't happy with many of the chart patterns but I've opted to buy shares in FOSL. While I placed the market order for today it won't be placed until Tuesday morning when the market opens. My guess is that the stock's price will fall at the initial market open. Mainly because I expect a short trading week with a lot of people on vacation. This will dry up demand and hence the price will fall. 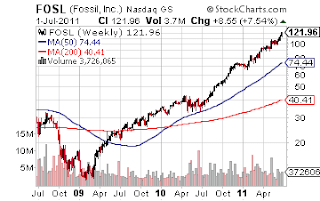 FOSL traded at $121.96 on Friday and is extended from a proper base. Fundamentally, the stock is strong as the watchmaker intends to open a bunch more stores this year. It's part of the retail industry group which continues to do well in the down economy we have been experiencing. I find this surprising. The company is managed well with earnings, sales and estimated earnings over 25% each. The IBD composite ratings are also strong. All over over 80 and A or B. Last week was a strong week for the market before the holiday. Let's hope it continues. My price targets for shares of this stock are for a 25% gain. The stock would need to reach a high of $152.45. My stop limit is set for 8% below my buy in. We'll see what that figures out to be on Tuesday. I think that chances are good I could get stopped out on buying these shares. I'm not convinced that we are in a strong market uptrend. There's a lot ahead of us with the negotiations of the debt ceiling coming this month. Based on past experience, I've often thought that I should put my buy order for shares in after 10am. But I've continued to stick to my rule of making all of my decisions at the market close and before the market opens. I'd love to hear what you are buying shares in. Let me know if you are entering the market as well. Good luck with your stock market investing. I wanted to spend some time talking about how to build your very own list of potential stocks to buy using the tools at investors.com. I started from scratch building a watch list on Monday to document the exact steps I take to build my list. The idea behind building a list of stocks you might consider buying is to reduce the number of stocks that you need to focus on at any given time. There are thousands of stocks to choose from and it's impossible to look at all of them every day. To achieve this purpose, you use stock screens to whittle down the number to something that is more manageable. The first screen I use is by index. I only look at stocks on the NYSE and the NASDAQ. I recommend that you do the same. A subscription to Investor's Business Daily. I personally subscribe to the eIBD which is the electronic version of the paper. This is awesome because you have the paper available each night and don't have to wait until the next morning. A subscription to the eTables premium service on investors.com. I recommend a subscription to eTables because you can download the IBD 50 Index, the IBD New America Index, the IBD 85-85 Index, the IBD Big Cap 20 and the Main Tables to a spreadsheet.The first thing that I did was log into investors.com and go into my eTables. Inside, there's a section that is called Main Tables. I downloaded that list of stocks to a spreadsheet so I could cut and paste the stock symbols and put them into my stock lists at investors.com. You can only put in 50 at a time, so since there are about 300 stocks in the main tables, you have to do these steps a handful of times to get through them all. In case you don't know, the main tables are the list of the top 300 or so stocks based on the Smart Select Composite rating that IBD uses. It is basically like the IBD 200 only with more stocks. I took the first 50 stock symbols and put them in a my stock list that I named "research". I start my search by reviewing the price and volume. I sort the stocks by price and I eliminate all stocks that are below $15 and the I sort it by volume and eliminate all stocks that have under 100,000 shares in trading volume. Then I move onto the Smart Select ratings and review the Composite rating, EPS rating, RS rating and only keep those that are 80 or better. After that, I only keep stocks that are B- or better in the SMR rating, Acc/Dist rating and in Group Relative strength. Once I have done that, I then move onto the fundamentals section and only keep stocks that are over 25% in EPS % Change (Latest Quarter), EPS % Change (Prior Quarter), Sales % change (latest quarter), EPS estimated % change (current quarter) and EPS estimated % change (current year). I then repeat this process until I have looked at all of the stocks. As I go through each set of stocks, I put the stocks that made the cut into another my stock lists that I named Watch List. The next step for me after I do that is to identify those stocks with less than 100 million in float. I find this information by clicking the chart icon and it's on the top of the chart. The stocks that are left are the stocks that I might potentially buy but only if they are at proper buy points and the market is in a confirmed uptrend. It's important to remember that if a stock appears on my list it doesn't mean that I should rush out and buy it. It just reduces the number of stocks I need to keep an eye on. The next step in the process is to look at a chart of each of those stocks to identify a proper buy point. I'll talk more about that in my next post on Stock Market Investing Today. Commit to reviewing your list every day. Stocks are dynamic and they change daily. An out of date list will not serve you well. Add new stocks to the list. My main source of new stocks for my list on a daily basis will be from the Stocks on the Move section and on a weekly basis from the Main Tables. Prune stocks from the list on a daily basis that fail to meet the initial threshold it took to get on the list. If the list gets two big, either tighten the criteria of set a limit of 20 stocks depending on time available. So that's how I find potential stocks to buy down the road. I think you'll find that managing a watch list will be very important to your investment success and by using the tools at investors.com, you'll be way ahead of the game. Well, I've taken a few months off from writing and figured that I would start things back up by talking about how to use "The Big Picture" column in the Investor's Business Daily. Your first step each day should be to check the general market direction and you can do that by reviewing The Big Picture column and it's main feature - the "Market Pulse". The thing you really want to know is what the editors of the paper think the current outlook is based on the CANSLIM investment strategy. Investor's Business Daily suggest that you use this as a stoplight system with regard to whether you should be invested in the market. The green light is market in confirmed uptrend. Yellow is uptrend under pressure. Finally, the red light would be market in correction. Just like when you are driving, pay attention to the traffic signals. Three out of four stocks follow the market trend. Why fight the market? Just go on green, be cautious on yellow and stop on red. When the market is in a confirmed uptrend, you want to keep an eye on distribution days. Distribution days are when the market closes down in price on higher volume. As these days add up, the market pulse keeps tabs of the number of days each index has tallied in the confirmed uptrend. During this time period, the CANSLIM strategy recommends that you be actively investing. When the market uptrend is under pressure, you want to keep an eye on whether the indexes erase the distribution days that have piled up and be ready to sell your current holdings. When the market is in correction, you want to watch for an attempted rally and a follow through day a few days later. When the market is in a correction, it's a good idea to liquidate your holdings if your stock shows signs of weakness. While the Market Pulse gives you a snapshot of the current outlook, it also gives you a summary of the days action and leaders up or down in volume. The rest of the column provides a summary of what happened to the indexes for the day. For me personally, I typically review the major indexes each day to see what I thought happened and formulate my own summary of what happened. Then, after the paper comes out, I confirm what I thought with what the editors say. I also watch the IBD TV Market Wrap to get a feel for what the market is doing. Start everyday by reading "The Big Picture" column. Even if you only look at the current outlook, you will be way ahead of most investors by knowing what the overall trend of the market is and that's the biggest part of the battle. 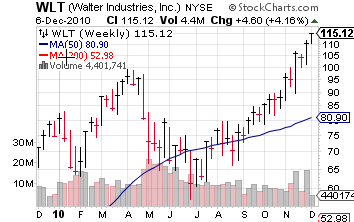 So today I decided that the best stock to buy right now is Walter Energy, Inc. (NYSE: WLT). WLT broke out today up 4.16% on volume 132.77 % higher than average. It closed today at $115.12. It sports IBD Smart Select Ratings of 80+ and A or B. Earnings are up 471% over the prior quarter. While I like the stock's ratings, I do have to say that I'd prefer to buy a stock that is priced in the $15 to $50 dollar range. But of all the stocks today, I felt it was the best one to buy based on it's technical chart. It broke through what I considered to be a long term price resistance today on strong volume. This is the first stock that I will be purchasing with real cash. As you might know, I had been using a stock simulator up until this point. As you might also know, I am a strong advocate of investing with real cash as soon as possible. Practice as long as you feel is necessary. For me, I am ready to move to real cash and learn from real market action. This is the best teacher. While there are many opinions on how much cash you should invest, if you are just starting out, you are going to have to bend the rules as far as the recommended position sizes go. What I decided for me was that I would invest in a $1000 block for my first trade. What this means is that I can purchase 8 shares of WLT. I am going to set up a profit target of 20%. This will make my target sale price ($115.12 times 1.2) or $138.14. At the same time, my loss limit will be 7% of my purchase price ($115.12 times .93) or $107.16. I will only be invested in one stock at a time. I'll keep you posted on my first stock market investing purchase with real cash. Good luck on your own. 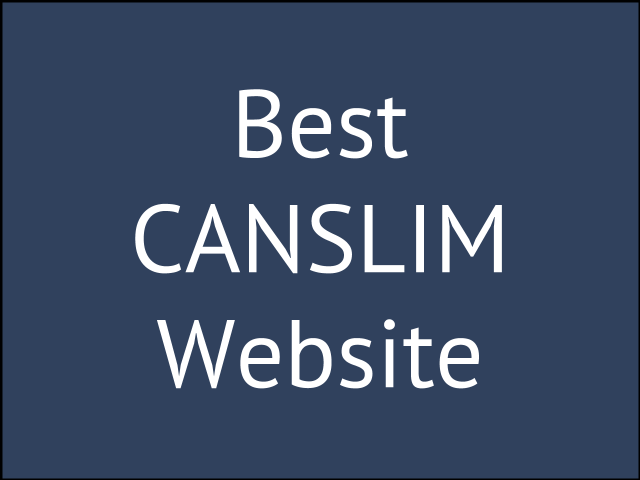 Many of my readers ask me, what is the best CANSLIM website. To me, that's an easy question. While there are many websites that talk about CANSLIM, the best by far is investors.com. You'll find all the tools you need to make money in the stock market right on that website. Now there are some websites that will help you implement the CANSLIM strategy and you can definitely learn from them, the IBD is the expert. Here are my reasons why it is the best. William O'Neil founded it. He developed the CANSLIM strategy and developed the paper in such a way to help you practice what he preaches. Stock screens. Each and every screen in the IBD is setup to bring the best CANSLIM stocks to the surface. Get to know them as well as learning how to determine the overall market direction. The help section. The help section of the website provides answers to the most frequently asked questions about CANSLIM. You can learn a lot from reading these help files. IBD TV. There are numerous videos that you can watch to help you learn how to make money in stocks. Don't overlook the value of learning from the master of your investment strategy. For CANSLIM investors, that master is O'Neil. If you want to make money in stocks, start applying what he teaches. Pick up a copy of How To Make Money In Stocks. Read it from cover to cover. Read it again and again. Also pick up a copy of The Successful Investor, it lays it out in a simpler format. Subscribe to the Investor's Business Daily and study it every day. Start using a stock simulator and buying stocks you find. Watch how they perform and learn from mistakes you make. Fine tune your buy points by focusing on one chart pattern. Don't try to master all patterns at once. Move to real cash as it's the best teacher. Learn from your mistakes. You'll discover that finding canslim stocks to buy is the easy part. Buying them at the right time is the hard part. Those are some tips I have for you regarding your stock market investing program. Good luck! OK. So, it's time to look for which stock to buy today. I thought what I would do is kind of start from scratch here and let you know what I would do if I was starting from scratch looking for a potential stock to buy right now. Let's talk about what not to do. Don't fly buy the seat of you pants. Don't take tips from your neighbors. Don't buy the stocks that Jim Cramer tells you to buy. Don't listen to the media period to tell you the truth. If you haven't figured out that they don't have your best interests at heart, you are either a young child or a naive person. Sorry, it's the truth. If you let others guide your investment strategy from here to there without any direction, then you probably won't have much success in the market. Here's my step by step guide of what I do to find a good opportunity. Pick an investment strategy. In my case, I have chosen CANSLIM. You have to choose a strategy. Choose from the masters and start working to master what they have already mastered. Only invest when the market is in a confirmed uptrend. According to William O'Neil, 3 out of 4 stocks follow the market. If the market is going down, you will probably lose money. Go with the flow and you increase your chance. Screen for stocks to add to your stock watch list on a daily basis. No matter what the market conditions, constantly tend to your watch list of stocks that meet your fundamental criteria. Watch these stocks for breakouts on a daily basis. 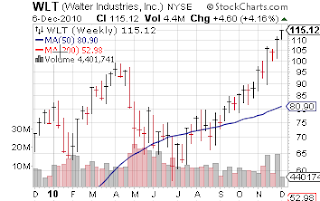 Review the charts of the companies that are up in price AND up in volume by a big percentage. These are your leaders. Start reviewing stock charts and identifying potential buy points. Practice with a stocks simulator before investing real cash to get your system set up. Once you are comfortable with daily setup, start working with real cash. Real cash teaches real lessons. Move to cash as soon as you can. Set profit targets and set loss limits. Set a profit target of 20% and a loss limit of 7%. Once your stock crosses one of these thresholds, sell it. Focus on a setup. Keep it simple. Look for one specific chart pattern and look to copy it. For example, focus on the cup with handle pattern. Master it. And master it one component at a time. Follow these tips to get started with your stock market investing program. It will take effort and study. Put in both and you'll find you will be mastering your strategy bit by bit. With mastery will come small victories. With small victories comes confidence. Learn to build yourself up while learning from your mistakes. Go for it. Now that the market has turned, you want to become a CANSLIM screener. I have found that the best canslim stock screener is the Investor's Business Daily. Each and every day, you'll find several screens that can help you out. You can choose to use one of them or a combination of all of them. I have read of people using them all and making one big list. It's also a good time to look at the IBD because they are having a FREE trial. So swing over to investors.com to check that out. I know from my own experience that the sheer volume of information available in the paper each day can be overwhelming. The best place to start are the main screens you'll find on a daily basis. Let's look at those. Stocks on the Move - This screen identifies stocks that are under accumulation by institutions. There backing is what drive's the price of stocks higher more than anything else. You want to time your buys and get into stocks as they do. Ride their coattails to higher gains. Stocks in the News - This screen identifies stocks that are closer to potential buy points. The nice thing about this screen is that it gives you a handful of stocks that are forming bases. You can view the charts and most of the fundamentals. Time Saver Table - This screen identifies stocks that are up substantially in price. If you are short on time, check out this screen for potential stocks to add to your watch list. IBD Research Tables - In the back of the making money section, you'll find the IBD tables. If you check out the top 6 or 7 sectors, you'll also find stocks to add to your watch list. The ideas in these CANSLIM screens will provide with more than enough buying options. But the mere fact they show up doesn't necessarily mean that they are prime buy candidates. You should also look at each companies fundamentals and stock chart to see if it is fundamentally and technically the best stock to buy. Good luck on your stock market investing program. Let me know if you have any questions. The current outlook was changed to market in confirmed uptrend by the editors of the Big Picture column in Monday's edition of the IBD. The mood from the writers suggested to me that while they did change the outlook I wasn't convinced they felt the change would be for real. However, opinion of what the market is doing is not what matters. The only thing that matters is the rules of CANSLIM. And currently the experts suggest the market has turned for the better. Our job as an investor is to heed only what the market is telling us and nothing else. Here's the problem. While our gut might tell us that this is a false signal, we must treat every confirmation as the real deal. You never know what the future holds. It's a battle of our emotion over the cold hard facts. The reality is that this is actually hard to do. But getting a handle on your emotions is key if you are going to make money investing in the stock market. OK. So, I know you know that. What do you do now that the market has changed direction? Follow these steps. Treat every uptrend the same. Once the market has confirmed an uptrend, start actively buying stocks again. Look for leaders breaking out on high volume. Each and every day, you should be adding and deleting stocks on your watch list. This is the first place you want to look for potential stock buys. Start watching the market for distribution days. If the market closes higher on higher volume, this is your clue to dig deeper. 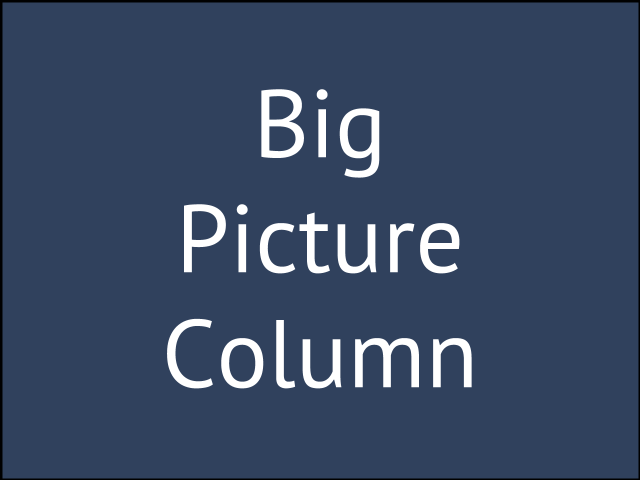 Read the Big Picture column daily. Watch the IBD TV Marketwrap video. Analyze the indexes on your own and learn how to read them on your own. Confirm what you think in the Investor's Business Daily. Follow sound selling rules. Remember to set a loss limit of 7-8% on every purchase. In addition, set a potential profit target of 20%. Keep your losses small but when you are correct try and ride those out. Look for stocks that are breaking out. I consider a breakout to be at least a 2% increase on a volume increase of at least 50%. Identify the best buy points to buy these stocks. Don't buy stocks that are overextended in excess of 5% of the pivot point. Now that you have the green light, it's time to get busy on your stock market investing program. Learn to follow a system and not your emotions. This will provide you with the best results over the long term. The information on this site is for educational purposes only. While I do the best I can to make sure that's it the most accurate, most complete information you can find on the topics I write about, keep in mind things change all the time and I can't guarantee one hundred percent accuracy.. Copyright © Stock Market Investing Today All Right Reserved.